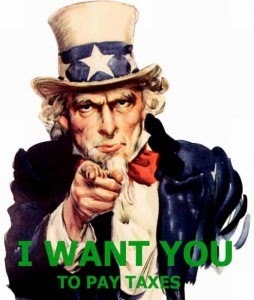 FATCA Reporting of US Source Insurance Premiums? PwC posted FATCA reporting of US source insurance premiums not required in certain circumstances. 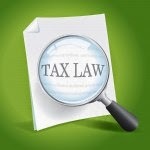 Recently released instructions to the 2014 Form 1042-S clarify FATCA reporting requirements for US premiums. According to the instructions, US premiums subject to the Federal Excise Tax are not reportable so long as FATCA withholding is not applied or required to be applied. However, a failure to properly document the payee’s status introduces both withholding and reporting risk to the payor who fails to obtain the appropriate documentation from payees. Download PwC: FATCA reporting of US source insurance premiums not required in certain circumstances. Prior to the enactment of the Foreign Account Tax Compliance Act (FATCA or Chapter 4), US source insurance and reinsurance premiums (US premiums) paid to non-US carriers generally were not subject to US withholding tax or information reporting due to an exception that applies when the premiums are subject to the federal excise tax under Section 4371 (Federal Excise Tax) of the Internal Revenue Code (IRC). Despite this long-standing exemption from reporting and withholding, it appeared that, beginning January 1, 2015, all US premiums paid to non-US carriers could be subject to withholding and would require year-end reporting on Form 1042-S, Foreign Person’s U.S. Source Income Subject to Withholding. Fortunately, recently released instructionsto Form 1042-S clarify that Form 1042-S reporting is not required with respect to US premiums if they are subject to the Federal Excise Tax and FATCA withholding is not actually applied (or required to be applied). Given this recent change, it will be critical for payors of US premiums to collect appropriate documentation in order to minimize or eliminate FATCA withholding and reporting. Appropriate documentation will include Form W-8BEN-E, Certificate of Status of Beneficial Owner for United States Tax Withholding and Reporting (Entities) or Form W-9, Request for Taxpayer Identification Number (TIN) and Certification. 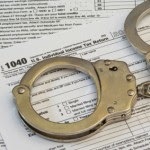 The US authorities have charged six Belize business executives with organizing a scheme to help American citizens evade USD500 million of taxes and escape their reporting obligations under the Foreign Account Tax Compliance Act. The alleged conspiracy was investigated by using undercover law enforcement agents posing as dishonest clients. A multi-count indictment was unsealed on September 09, 2014in federal court in Brooklyn, New York, against six individual defendants and six corporate defendants. The charges include conspiracy to commit securities fraud, tax fraud, and money laundering. “As alleged, Bandfield and his co-conspirators devised not only a fraudulent scheme but an elaborate corporate structure based on lies and deceit designed to enable U.S. citizens to evade and circumvent our securities and tax laws. They set up sham companies with figureheads at the helm in an attempt to deceive U.S. law enforcement and regulators and bragged about their scheme to their clients,” stated United States Attorney Lynch. “The investigation of offshore tax evasion and money laundering are top priorities for IRS-Criminal Investigation, and we are committed to using all of our enforcement tools to stop this abuse. 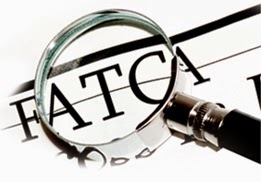 The enactment of the Foreign Account Tax Compliance Act (FATCA) is yet another example of how it is becoming more and more risky for U.S. taxpayers to hide their money globally. launder money for the corrupt clients through financial transactions to and from the United States involving proceeds of fraud in the sale of securities. As part of this fraudulent offshore scheme, the defendants laundered approximately $500 million for the corrupt clients—who included more than 100 U.S. citizens and residents. To facilitate these interrelated schemes, the defendants created shell companies in Belize and Nevis, West Indies, for the corrupt clients and placed nominees at the helm of these companies. This structure was designed to conceal the corrupt clients’ ownership interest in the stock of U.S. public companies, in violation of U.S. securities laws, and enable the corrupt investors to engage in trading under the nominee’s names through brokerage firms also set up in Belize. The defendants’ scheme also enabled the U.S. corrupt clients evade reporting requirements to the IRS by concealing the proceeds generated by the manipulated stock transactions through the shell companies and their nominees. For example, in response to a request received by a U.S. corrupt client from a U.S. transfer agent who had to determine whether the proceeds from manipulative stock trading transaction were taxable under U.S. law, the defendant Bandfield forwarded an IRS Form ( probably Form W–8 BEN) signed by co-defendant Godfrey as the nominee for the shell company which had been set up at the request of the client. 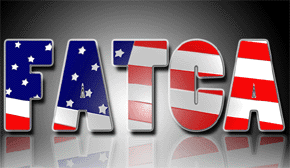 to counter President Barack Obama’s new laws, a reference to FATCA. Only one of the six accused, Bob Bandfield, is under arrest, as he happened to be in Miami at the time of the swoop. The other five are presumed to be in Belize and will be the subject of an extradition request. 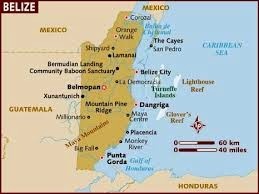 Law enforcement officers in Belize have already raided the offices of the companies allegedly used in the business. 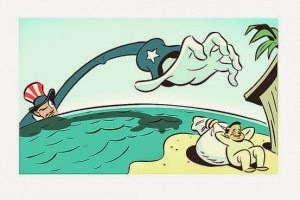 FATCA Reporting Keeping You Awake at Night? Why there may not be any new FATCA Agreements since Tuesday, August 5, 2014 when we posted "Life With FATCA - Effective SinceJuly 1, 2014 - 101 FATCA Agreements & Growing! ", there are new FAQs that have been posted with regards to registration for non-reporting financial institutions in Model 1 IGA jurisdictions, and with regards to self-certifications on similarly agreed forms. The new FAQs are posted in the IGA Registration and General Compliance categories, and are dated September 25, 2014. Changes To the Streamlined Version of OVDP To Be Announced Soon? According to the BNA the IRS will soon announce several changes to the streamlined version of the Offshore Voluntary Disclosure Program, but won't change the policies behind eligibility for the program, two agency officials said September 20, 2014. For domestic participants the IRS will consider only the taxpayer's personal financial interests in determining eligibility, not accounts for which taxpayers only have signature authority. The agency will make it clear that domestic participants will have to include, in the penalty base, foreign assets that they may have already reported on a Form 5471 or a Form 3520. These comments were made at the fall meeting of the American Bar Association in Denver by Jennifer Best, senior adviser to the deputy commissioner of the Large Business & International Division & John McDougal, special trial attorney for the Small Business/Self-Employed Division. Hopefully the new guidance will provide clarification on what "Non-Willful" really means. We posted on September 18, 2014, So What Does "Non-Willful" Really Mean Under The Streamlined OVDP? , where we discussed that it appears that whatever Non-Willful means outside of the OVDP streamline program; it is certainly being applied differently in evaluating a Taxpayer’s ability to transition from the OVDP program into this new 2014 streamline program. 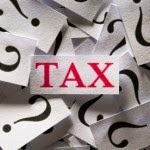 This sentiment about the difficulty of determining what "Non-Willful" means in the new OVDP streamline program is reiterated in an article in Bloomberg BNA's "Daily Tax Report" which discussed the expanded streamlined version of the IRS' Offshore Voluntary Disclosure Program (OVDP) and noted that many practitioners have said it's difficult for their clients to qualify for the program. You have to work with the client and really understand their facts and circumstances. They have no criminal protection. The process the IRS is using to consider applications for the streamlined program isn't clear, and that too could carry risks. With regard to applications to transition from the formal previous OVDP to the streamlined version, "It's pretty much a black box," he said, adding that it appears it isn't possible to appeal a rejection. "It's a bit of a mystery and I don't think it's very transparent." Need Help With the 2014 Streamlined OVDP Program?